4 Jun 2016	Larry K.
If your pocket doesn’t allow you to buy an actual boat or a yacht, you do not need to worry because inflatable boats can let you enjoy the experience of riding boats. These watercrafts are very convenient and portable since they can be both deflated and inflated whenever needed. And compared to ordinary boats, inflatables are a lot less expensive and can easily fit into any boat riding enthusiast’s budget. 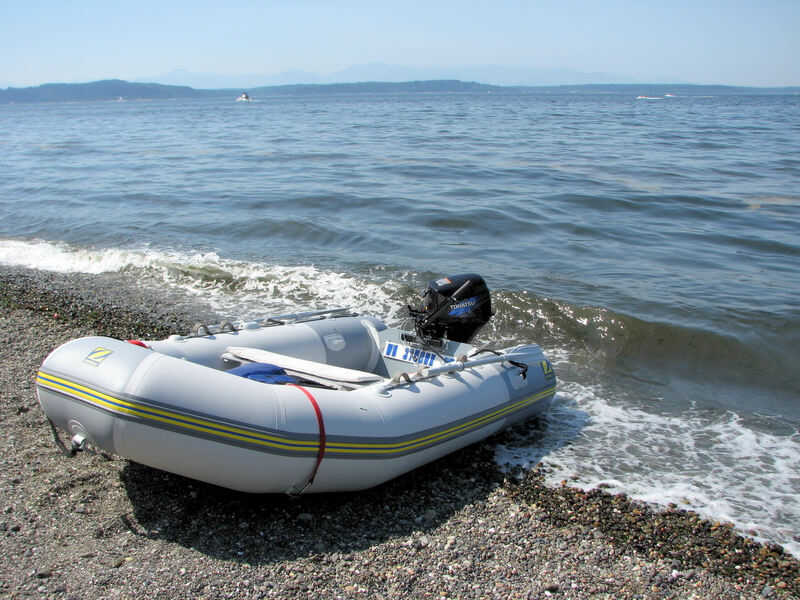 There are various types and models of top inflatable boats available in the market; your choice and budget decide how many features or accessories you will get with the boat. The Intex Excursion 5 set inflatable boat is spacious and can accommodate up to 5 individuals, the super tough vinyl used for its construction provides durability. It comes with inflatable floor and seats with backrests; this makes it an ideal boat for either fishing or just enjoying a leisure time paddling around on a lake or any other recreation water activity. It is fitted with four fishing holders, a pair on either side; this makes it easier to paddle for quicker travel. However, if you want to make it motorable, it has a motor mount fitting. It is supplied along with 54-inch long oars made of aluminum and a high output hand pump. This inflatable kayak is a high bred folding frame as its name suggests and its bow and stern have a built-in aluminum to improve tracking. The design incorporates three layers of material to enhance its abrasion resistance and hence to render it durable. The kayak is very easy to launch as it comes already pre-installed by the manufacturer, all you need to do is to unfold it, simply inflate, then attach the seat, and you are ready to go. It is designed to accommodate two people, and it has high support, padded seats that are adjustable and offer great comfort for long hours of riding. In fact, its seat location can allow for solo paddling. The Angler Bay Inflatable Boat by Airhead has been designed with all your necessary needs for a fishing adventure. It is constructed with heavy duty vinyl for maximum strength and durability, and the seams are electronically welded to provide high integrity and safety. Its design includes a wraparound grab lines and a pair of rod holders for carrying your fishing rods as well as molded drink holders. This 140-inches long and 66.5 inches wide inflatable boat is spacious and can accommodate up to 6 people.Angler Bay inflated boat also come with provisions for mounting electric motors whenever an upgrade is necessary. Since it is constructed with a high-duty material, it’s quality assurance is guaranteed since it is factory tested. The speed valves are made to offer quick deflating and inflating. However, the transom and the oars are not provided. Along with the boat, you will get the battery storage bag as well as a ditty bag. Although there are quite some inflatable boats with varying features available in the market, the above three are considered some of the best top inflatable boats you can own.